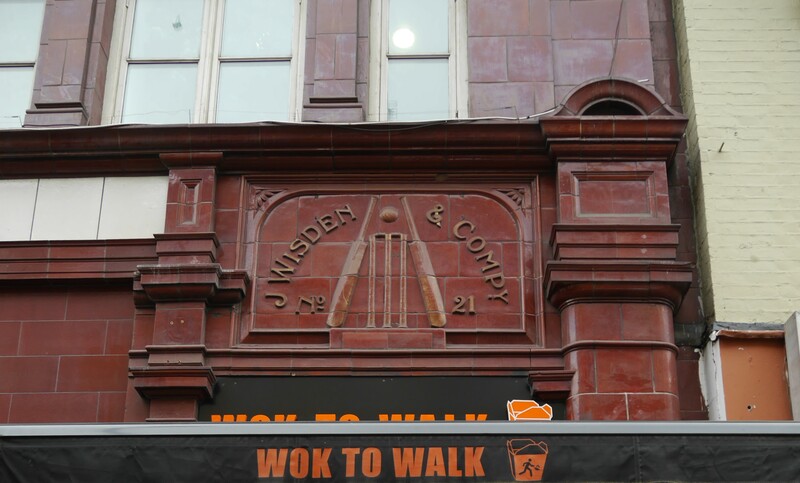 John Wisden founded the most iconic cricket annual in 1864: the Wisden Cricketers’ Almanack. Its publication is eagerly awaited every year. 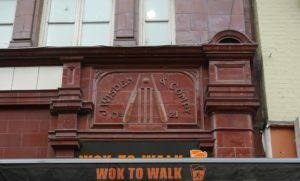 Steeped in Wisdens as we are, we thought we’d take a closer look at the man himself. 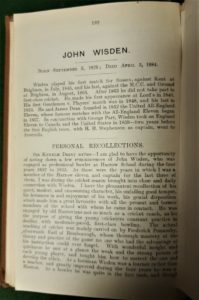 John Wisden was born in Brighton in 1826. His father died when he was a boy and Wisden went to live with Sussex wicketkeeper, Tom Box. Wisden’s talent as a cricketer was obvious from early on. By the age of 18, he had made his debut for Sussex versus Kent. He took 6 wickets in the first innings; 3 in the 2nd innings. 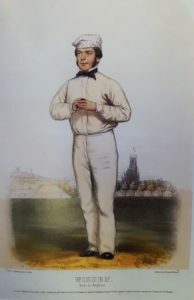 John Wisden soon became one of the star cricketers in the mid-19th century. He was tiny. He was 5’6″ tall and weighed 44 kilos. Somehow, however, he had ‘the power’: he was an exceptionally effective fast bowler and was deemed to be one of the best all-rounders of his time. In 1850 he played for the North versus the South at Lord’s. He claimed all 10 wickets in the second innings, all of which were clean bowled – a unique feat still in first class cricket! In the same year John Wisden took 340 wickets in 38 matches. Wisden’s nickname soon became ‘Little Wonder’ after the winner of the 1840 Epsom Derby. Again in 1850 Wisden began to branch out from just playing cricket. He was a cricket coach at Harrow School from 1852-55. He also began making and selling cricket equipment and in 1855 he set up a cricket and cigar shop with Fred Lillywhite. 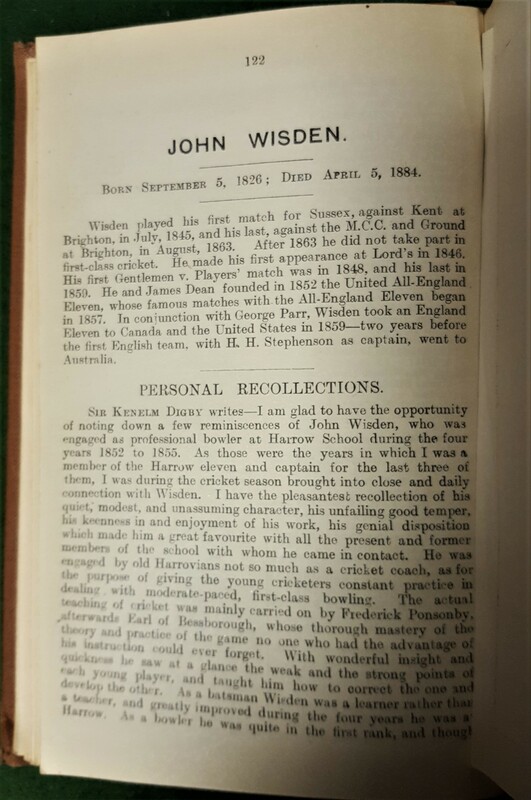 In 1864 Wisden retired from cricket. Coincidentally…or not, that was also the year that his first Almanack appeared. John Wisden’s Cricketer’s Almanack soon eclipsed its rivals due to its scrupulously accurate statistics and editorial independence. The first Wisden in 1864 was, however, a fairly eclectic mix of facts and figures. The almanack was 112 pages thick. It provided cricket scorecards and statistics…along with racing winners, the rules of quoits, the dates of the Crusades and an account of Charles I’s trial!